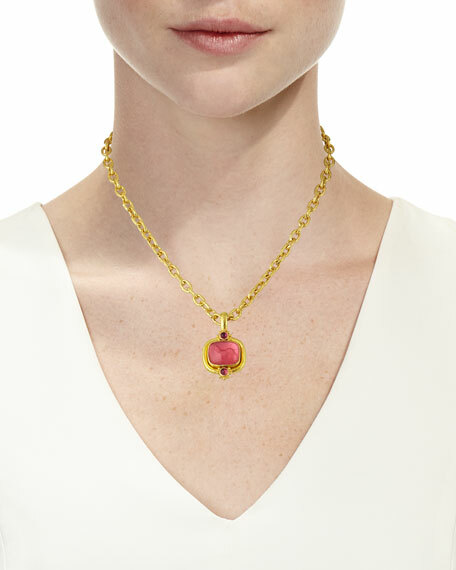 Individually designed by Elizabeth Locke and handcrafted in 19-karat yellow gold, this Venetian glass pendant modernizes the time-honored intaglio tradition. Though intaglios historically have practical purpose as stamps or seals, this Elizabeth Locke pendant gives your look an heirloom sensibility that's more fanciful than functional. 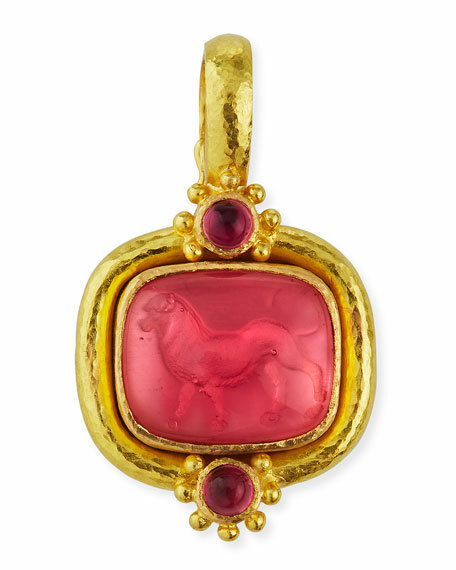 Pink Venetian glass cushion pendant with roaring lion intaglio cabochon and mother-of-pearl backing. 1 2/3"/25mm drop; tourmaline, 4mm. For in-store inquiries, use sku #452074.